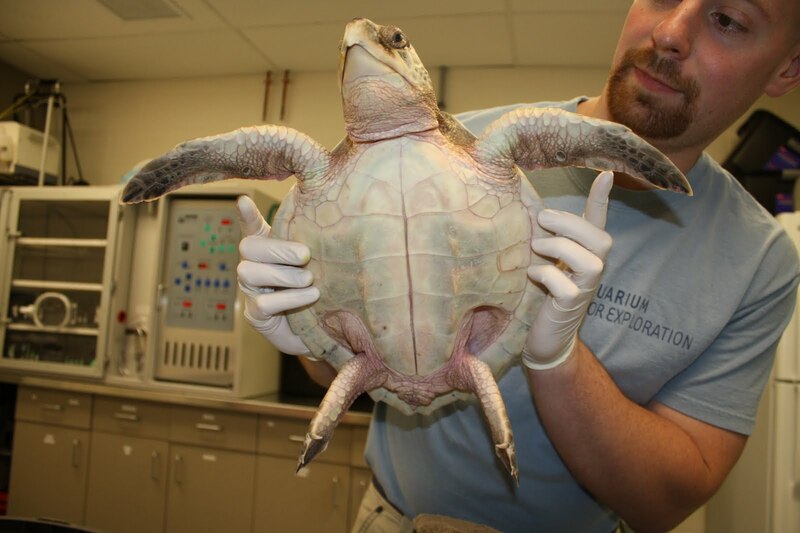 The Marine Animal Rescue Team rehabilitates sea turtles that strand on Cape Cod, but we are not the only area where turtles are cold-stunned. 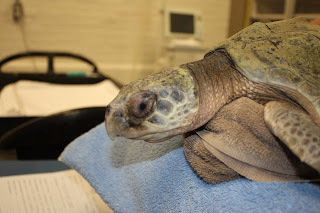 A Kemp's ridley sea turtle stranded on Fisher's Island in New York last week, and the Mystic Aquarium brought it to our Quincy facility for rehabilitation. Normally the Riverhead Foundation for Marine Research and Preservation in New York would take this turtle, but staff members from Mystic Aquarium were already coming up to our Quincy Animal Care Center to lend us a helping hand during this busy season. This turtle, named Dipper, spent the night at the Mystic Aquarium, and then made the trip up to Quincy with Mystic biologist, Skip. Above, Skip holds 'Dipper' during his intake exam. 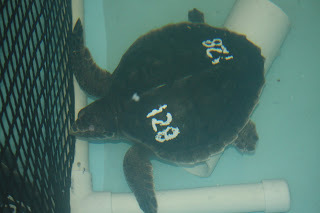 'Dipper' swims in his tank. He has not started eating yet, but volunteers are working very hard to entice him to eat. I will keep you posted on Dipper's progress.